Thor Rixon has always been very vocal about his lifestyle choices. From his hilarious “Fuk Bread” track that saw him tattoo the song title into his head (for the music video, that is), to his display of downward facing dog in the “Don’t Ask Me About Music” feature, Thor isn’t afraid to express his concerns for the well-being of his fellow earthlings. His latest project, Songs From The Bath, is primed to release on December 9th via Roastin Records and offers more bang for your buck than most pressings. 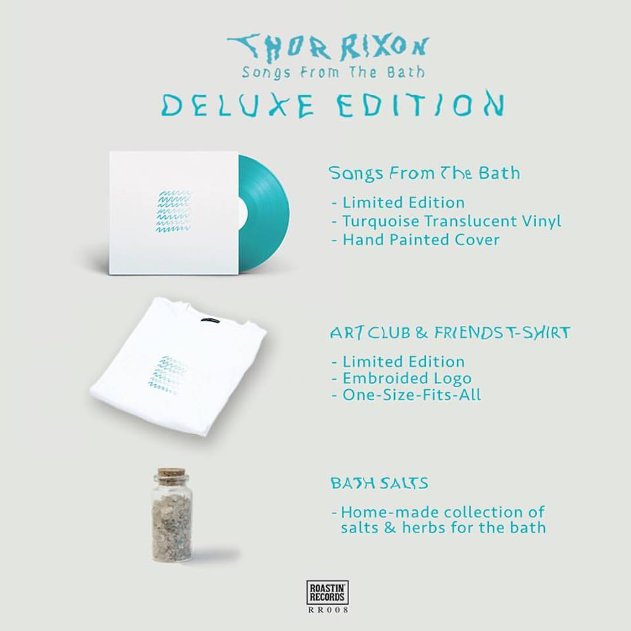 Complete with a turquoise translucent vinyl, a hand painted cover and a limited edition designer tee, the deluxe edition adds a curious collection of homemade bath salts and herbs to get you in the mood when listening to the LP. As per the Roasting Records website: “Songs from the bath will take your mind on a futuristic ride into the unknown sphere of neo – psychedelic techno. Laden with jazz influences and a multitude of sounds to accompany you on your voyage into unknown musical realms. Songs From The Bath is available exclusively from roastinrecords.com from December 9th, with all the bells and whistles and will be a rare piece of South African music culture from one of its most unique artists. We chat with Lady M about music, Watergate and starting her own record label. An impressive free EP from a new alias, Lobel.